Another month, another four recipes made from a cookbook that wasn’t getting used in my kitchen nearly enough! Yes, that’s the premise of the #OneCookbook a Month club that I host, virtually, so that anyone can be a part of it. The idea stemmed from looking at my stack of cookbooks when I moved, and realizing how much I needed a little kick in the pants to cook from them instead of just paging through them. Three months in, there are 200 of us in the group, and we’d love to have you as well! March was all about The Pretty Dish, by Jessica Merchant (who writes the How Sweet Eats blog). 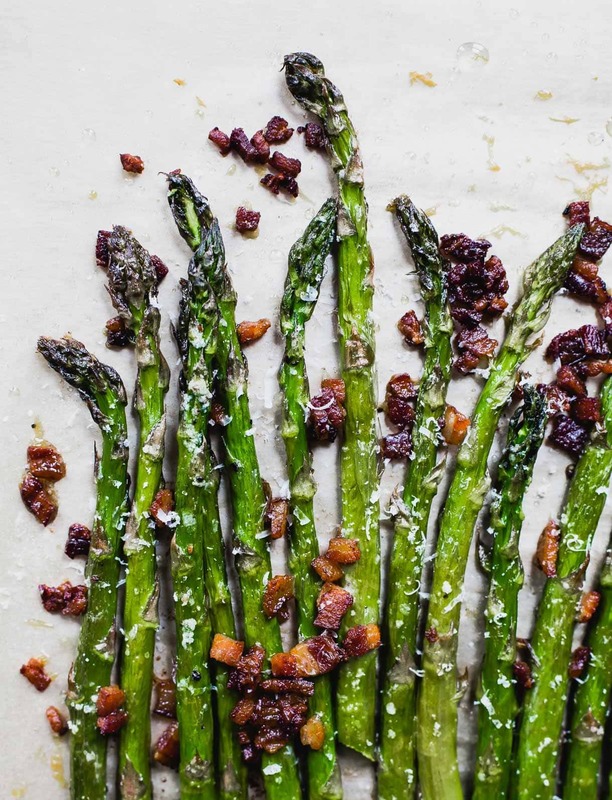 I’ve had this book for a little over year, and first made this 3 Ingredient Bacon Asparagus. Pssttt…it would make the perfect Easter side dish. 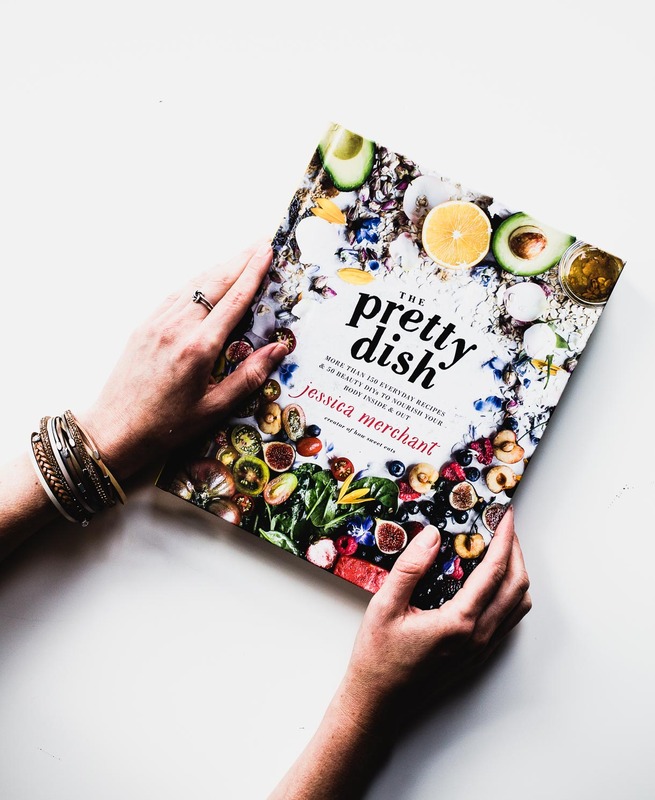 The Pretty Dish is full of utterly delicious, vibrant recipes, that use fresh ingredients. They span from healthy to indulgent, sweet to savory. Exactly the mix I love! 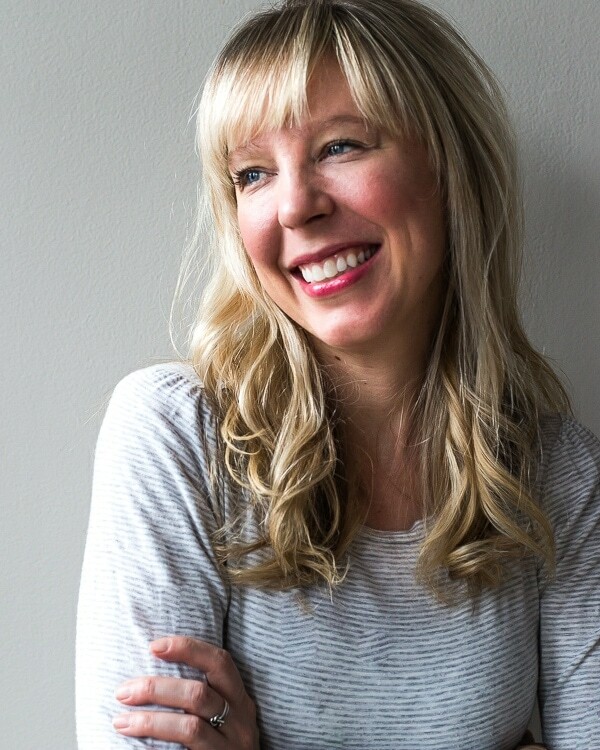 Besides the wonderful recipes in this cookbook, Jessica’s writing is like that of your best girlfriend – who also happens to be a great home cook and serious beauty aficionado. In fact, there are 50 beauty DIY recipes in the book too. Yes, your favorite summer quick bread made into pancakes. And they are absolutely amazing. Think warm spices, soft and puffy, just a little bit sweet. Extra maple syrup. A pat of butter. And breakfast bliss ensues. p.s. 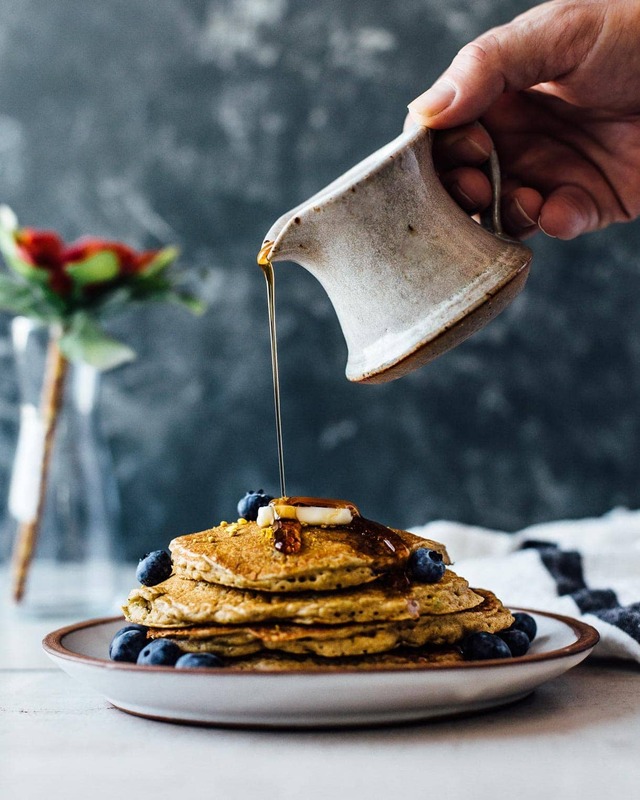 – I’m working on a gluten-free version of this recipe to post, but here’s another gluten-free pancake I love! 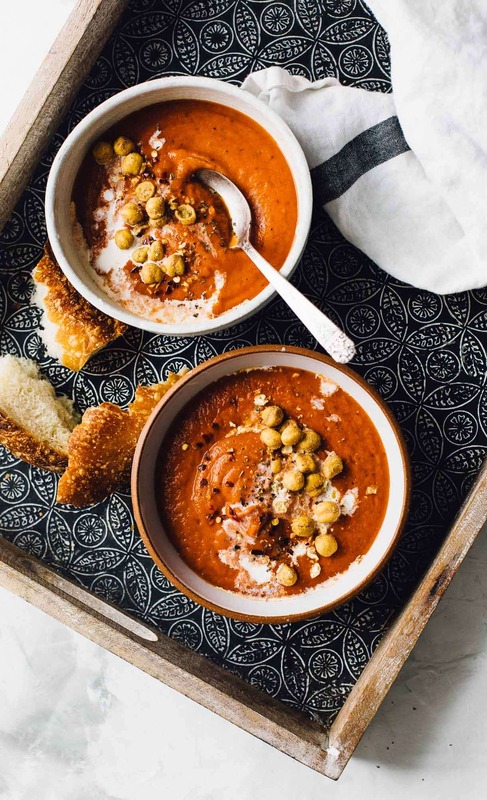 If you’ve been looking for an incredible, grown up, tomato soup, this is it. Toasted garlic goes into a base of fire-roasted tomatoes and is blended with some cream into something real dreamy. I find it be the perfect in-between seasons soup, when nothing is truly ready from the garden, but canned tomatoes are always a good option because picked and preserved when ripe. I topped my soup with crunchy roasted chickpeas and was not disappointed. 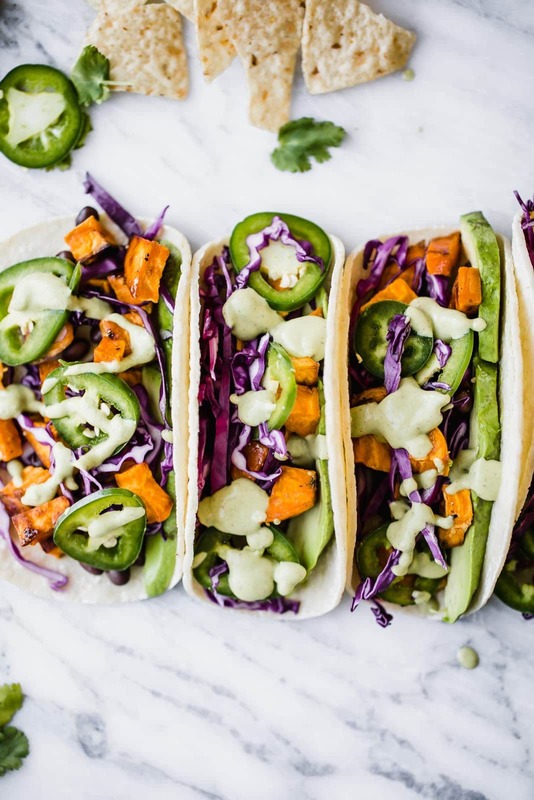 This is a vegetarian taco that you NEED in your life. The recipe has you roast the butternut squash (or sweet potatoes) in coconut oil, chile powder, and brown sugar. The brown sugar is genius. It allows a little more caramelization and is the perfect hit of sweet with all the spicy going on. The tacos also have black beans, red cabbage, avocado, a creamy lime crema. Monique from Ambitious Kitchen actually posted the full recipe from Jessica’s book on her blog, so you can find it there! She took the beautiful photo above as well. 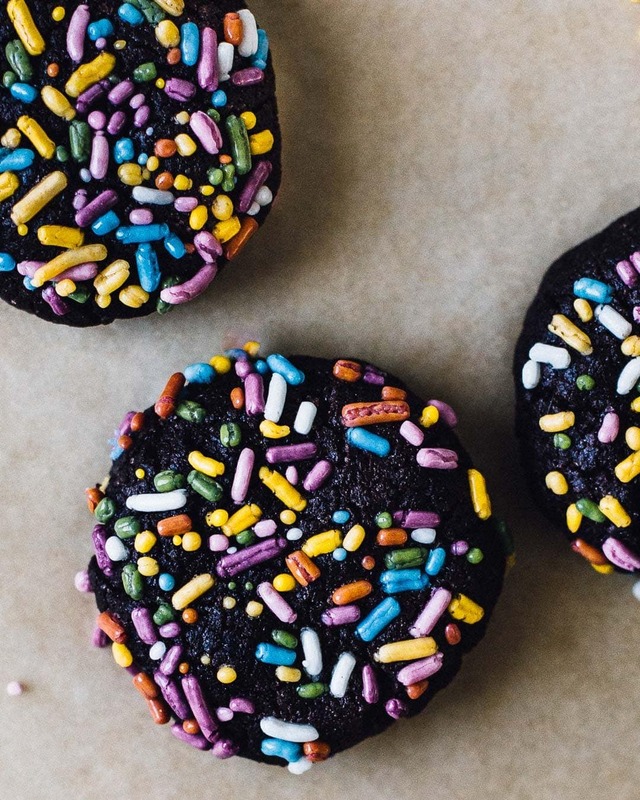 Sprinkles have more fun. This is a fact. ☺️ I actually made this recipe twice because the first time I accidentally added double the amount of oil it calls for. Yep, baking fail. But, when I followed the directions correctly, they were amazing. These chocolate cookies are a like a chewy brownie, and just sweet enough. The sprinkles were such a great addition, as they added texture I wasn’t expecting! If you’re looking for naturally colored sprinkles, these are the ones I use. 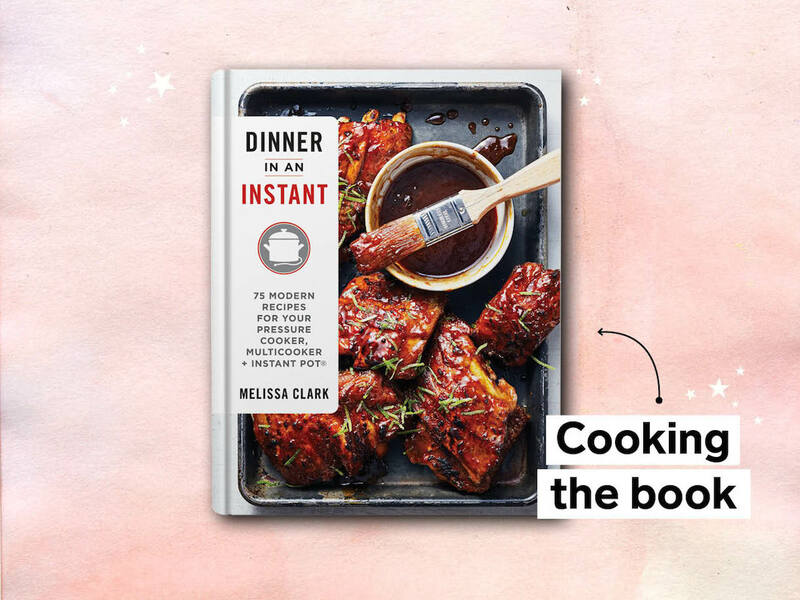 For April, the group has selected Dinner In An Instant, by Melissa Clark, to cook from. This cookbook is entirely instant pot focused, which I’m really looking forward to. I could use some new IP recipes to put into rotation! Want to cook along with us? Join the group for free, HERE!